Customer trust is key for consumer-facing platforms. Customer control of their data is central to earning and keeping that trust. Customer control demands that they be able to choose with whom they share data. Customer control also requires that they be able to disconnect any partner, including the platform provider. Customers like the assurance of being able to export a copy of their data. Partners need confidence that the customer is in control of their data and its retention, not the platform provider. Now I’d like to examine how we came to and applied these principles while I was at RunKeeper. Your health and fitness are influenced by many interrelated factors: Exercise (cardio, strength training, yoga, etc. ), what you eat and when, your weight, the number of steps you take while going about your everyday routine, how much and how well you sleep, and much more. In building “the personal trainer in your pocket” at RunKeeper, we realized early on that we needed to connect all of the above variables in one place. This correlated data could be used to motivate, guide, and nudge individuals towards healthier choices with just the right advice, at just the right time. We saw the need for an open platform that would provide a win-win for customers and their health partners of choice. In order for individuals to be comfortable uploading their data into such a platform, they needed to know how they would maintain control over the access, storage, and deletion of their data. And they needed certainty that they could export their data and take it with them, if they ever chose to do so. Similarly, partners needed assurance that when a customer connected their app, service, or sensor to the platform, they would have access to that customer’s collective health and fitness data in the same manner and amount as all other customer-connected partners. Should a customer disconnect a partner from their platform account, that partner needed to know they would have the option (with the customer’s permission) to retain a copy of any data that partner had previously read out of the platform on that customer’s behalf. When we surveyed the health and fitness landscape looking for such a customer-centric, open, partner-friendly platform, we found none. The existing platforms were all in various ways closed: Vertically integrated, only offering private APIs to a select few partners, not allowing customers to save a copy of their own data, etc. So we pulled the trigger: RunKeeper committed to building the open Health Graph platform based upon the six principles above, guaranteeing customers control of their data and a level playing field for all partners. RunKeeper’s commitment to those principles has paid immense dividends. As I write this there are more than 26 million customers with platform accounts, hundreds of millions of fitness activities and health measurements in the platform, and millions of API calls made daily. RunKeeper has welcomed more than 150 publicly launched integration partners, from one-person shops to big players in the health and fitness space including MyFitnessPal, Withings, CarePass from Aetna, and Jawbone UP. There are hundreds more private integrations live on the Health Graph platform as well, with the total number of Health Graph API developers in the thousands. So long as partners respect the customer’s right to control the access and flow of their data and abide by the customer-centric API Policies and Terms of Service meant to ensure that, all are welcome. Even other activity trackers, including iSmoothRun, Caledos Runner, and Digifit (all partners who are also competitors to RunKeeper). All platform providers must decide how to best grow their customer base through partnerships. That growth in large part hinges on the trust that providers build with their customers and partners. And that trust hinges on those customers and partners feeling secure that the data they rely upon can’t be yanked away on a platform provider whim. If you’d like help in putting these platform principles to work yourself, please contact me today. Customer trust is key for any consumer-facing platform to reach its maximum potential. This trust enables customers to fully embrace your own and your partners’ apps, services, and devices. Always keep customer trust top-of-mind. Customer control of the flow and access to their data is central to earning and keeping that trust. Note that I said “control”, not ownership, as it’s become very clear that the notion of data ownership is murky, especially in realms such as health and fitness. Customer control demands that they must be able to choose with whom they connect their account and share data. If you agree with this, you should default to opt-in, not opt-out. True customer control also requires that they be able to disconnect any partner they choose, including the platform provider (i.e. delete their account and data). Extra customer love and bonus points from many partners if the platform enables the customer to allow or disallow data retention when they disconnect. Don’t assume you know what’s best for the customer, let them choose. Customers like the assurance of being able to export a copy of their data (a la Google Takeout and RunKeeper data export). Even if they never choose to use your export feature, customers may see a lack of export functionality as equivalent to a closed platform, and hence never fully trust your platform offerings or commit themselves fully to them. Said another way, data export capability future proofs your platform for customers. Partners must have confidence that the customer is in control of their own data and its retention, not the platform provider, if a platform provider is to be fully trusted. This future proofs your platform for partners. Interested in applying these lessons to your platform and partnerships? I’d love to help. Please contact me today to discuss! The Saga (@GetSaga) lifelogging app brings RunKeeper (@runkeeper) activities into a user’s location-based view of their life’s activities. Jeremy Bensley (@jbensley) walks us through how A.R.O., Inc. (@arodotcom), makers of Saga, use the Health Graph platform (@healthgraphapi) to show the saga of your life. 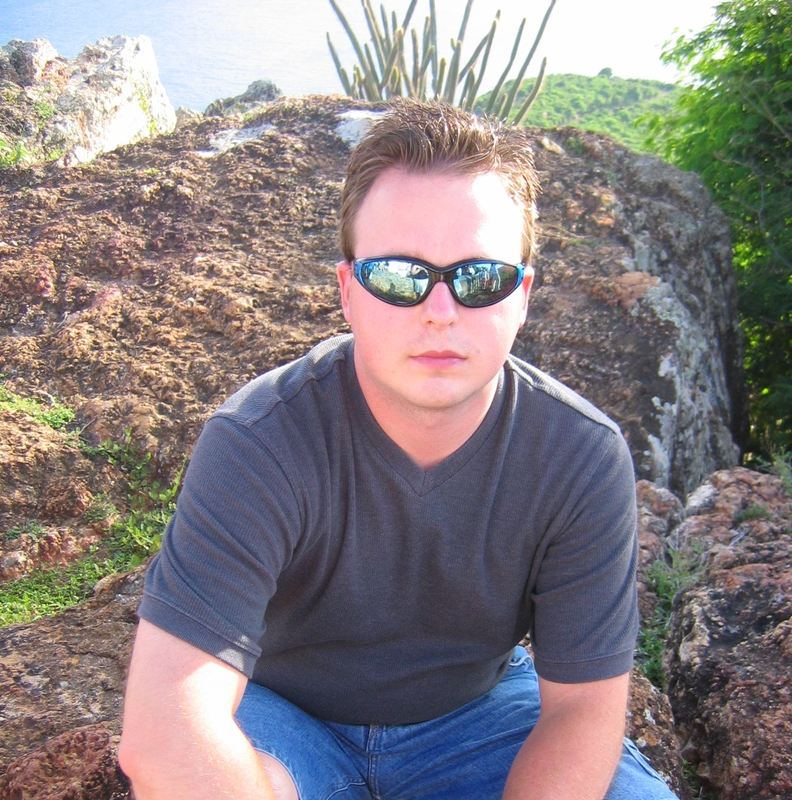 Jeremy Bensley: I’m the Director of Server Development at A.R.O., Inc. Running the platform development team means I’m involved with many tasks on a daily basis, but at my core I’m a data guy, and specifically I love tracking my movements, my activities, and my habits. My background is in machine learning, natural language processing, and making sense of lots and lots of (often noisy) output from sensors. Aside from managerial duties my primary tasks for Saga are the time segmentation of the LifeLog and integration with external APIs such as RunKeeper’s Health Graph API. A.R.O. is a great place to work. We think the sensors in your smartphone can be used to power a wide range of awesome app experiences. Everything from contextually-aware systems like Google Now to virtual personal assistants like Siri, and we’ve only begun to scratch the surface on this potential. BD: What is the “elevator pitch” for why someone should use Saga? JB: Saga is a location lifelog. It creates a diary of your life based on where you go. The beauty of Saga is that it does this without requiring much attention from the user. Different people will like different aspects of Saga: Perhaps you will use it to figure out how to optimize your commute to work, or how you run your errands. Or as a beautiful way to tell the story of your amazing weekend. JB: We wanted to include health details as part of the Saga lifelog. 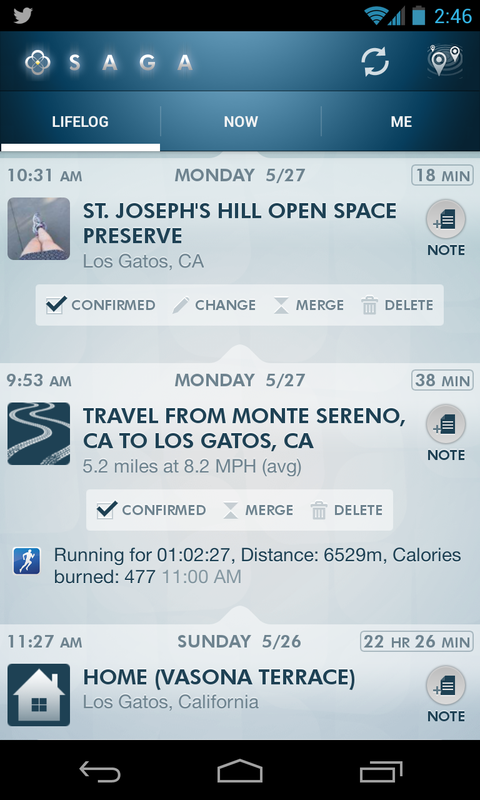 A first step is including information such as the details of your run from RunKeeper. For many runners, running is a part of your life, more than just the numbers of the run (distance, time, pace, etc). It’s about getting out to a unique location, having an amazing run or race, meeting up with fellow runners at the pub afterward, and basically just having a wonderful weekend. And Health Graph users aren’t tracking just runs or other forms of exercise. Right now we’re focusing on run information, but soon we will incorporate other measurements available in Health Graph platform such as body measurements and food intake. BD: How will the Health Graph platform benefit your business? JB: People who use the Health Graph through a number of tools have already established a form of lifelogging practice, just very focused. We think they will be familiar with lifelogging in general, and appreciate the additional context that Saga will provide to their existing logging practice. 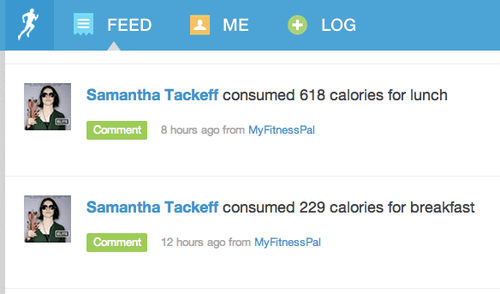 JB: For our initial integration we are pulling the FitnessActivityFeed and associated FitnessActivities to display a summary of a user’s workout in their lifelog. We have plans in our roadmap for expanding upon this to include other activity feeds and eventually allow people to post into some of these feeds using data from Saga. BD: What do you like about the Health Graph API? What would you like to see changed? BD: If you could request any new feature from the Health Graph platform, what would it be? How would you use it? JB: I believe the Health Graph platform provides an amazingly comprehensive health tracking API. Nonetheless I’d like to see extra data to allow for timestamp normalization, by including either a UTC timestamp or the user’s timezone in the activity data. BD: Can you share any future plans for Saga? What’s coming next that people will be excited about? Does the Health Graph platform play a role in that, and if so, how? JB: In the future, Saga will incorporate more logging services (for example, a service to track mood, menstrual cycle, music listening) to include in the lifelog. The Health Graph platform will certainly be a part of that, as right now we have a very small subset of it included. DietBet (@dietbet) enables runners and other RunKeeper (@runkeeper) users to lose weight socially by challenging their friends to a fun weight loss competition. Below we discuss how DietBet uses the Health Graph API & platform (@healthgraphapi) to help motivate people and keep their weight loss journeys fun. 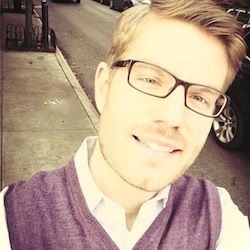 Adam McClean: I’ve been a product manager for almost eight years with a primary focus in e-commerce and consumer brands. I’m also training for a mini marathon later this year. BD: What is the “elevator pitch” for why someone should use DietBet? AM: DietBet is the best way to jumpstart your weight loss and access the support necessary for success. It’s a great mix of behavioral economics (loss aversion and financial incentives), community, and accountability. Players put money on the line and commit to losing 4% of their starting weight in 4 weeks. During the game players make friends, talk smack, and track their progress as they approach their goal. Everyone who reaches the 4% goal ends up splitting the pot — and making some extra money! AM: I’ve been using RunKeeper and saving my personal data to the Health Graph for a long time. After I participated in my first DietBet, it was clear the two should integrate. AM: Running and weight loss have a symbiotic relationship: Losing weight helps you improve your running time and running helps you burn calories and lose weight. Players who connect with RunKeeper will be able to send weight updates and running activities directly into their DietBet game. 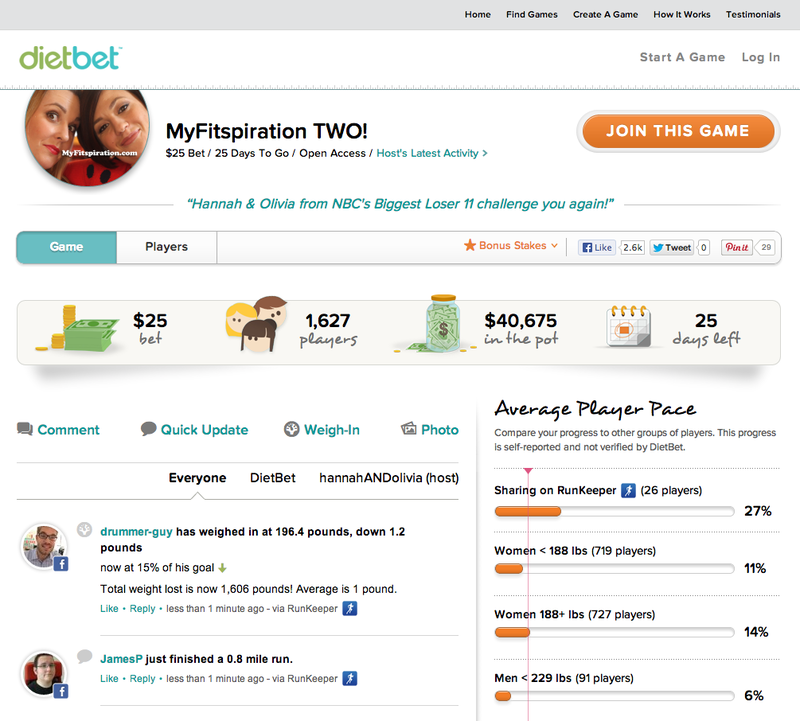 Also, any weight updates made on DietBet will be saved back to the player’s Health Graph account. AM: Since DietBet players are required to submit their weight in order to play the game, we wanted to allow them to do this from both DietBet and RunKeeper. We are using Weight Measurements to get/post all of the weight data. We are also grabbing running details from Fitness Activities, so other players can see the hard work being done to help a player make their 4% goal. BD: What do you like about the Health Graph API? AM: We love the simple approach to tracking changes using Root Resource and Change Log. This lowers the overhead on our end and lets us post activities and weight updates within minutes. AM: Most weight data is inputted manually using the honor code. Because we have a team of referees and a photo-based verification solution, we’d like to be able to indicate when weight entries are “verified” vs “manual” the same way you can specify a “tracked” vs “manual” fitness entry. BD: Can you share any future plans for DietBet? What’s coming next that people will be excited about? AM: We’re hoping to expand beyond the current game (4% in 4 weeks) and allow users to play games with longer timelines and larger weight loss goals. We also want to reward players for maintaining their weight or establishing healthy habits. BD: Is there anything else we should know about you or DietBet? AM: Organize a game today and use promo code HEALTHGRAPH. If you get 8+ other players into the game, we’ll refund your bet!